On 19th and 20th of September we exhibited at the Betting on Sports conference in London, to showcase our new 24/7 betting channels, which will provide operators with desirable and profitable short form content throughout the day with a betting event every 3 minutes. The channels can be supplied as a full end-to-end service with live streamed pictures, data, prices and derivatives with one easy integration. 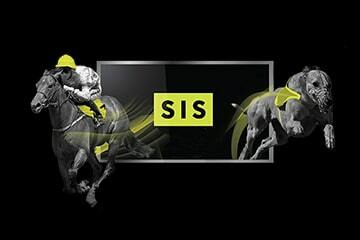 SIS will deliver the channels in a ‘Watch and Bet’ format, and they include on-screen graphics with a number of betting triggers to help drive betting revenue for operators globally. We can offer operators some of the best exclusive horse and greyhound racing content from around the world and can supply operators with channel solutions to meet the needs of their market(s). All of our live content can be interspersed with quality virtual content to ensure a betting event every 3 minutes. Adam Conway, our Head of Trading, was on the stand to speak to delegates about how SIS’s unique and comprehensive trading feeds can drive incremental revenues for operators. Delegates will also be able to find out more about our range of other short-form betting content which can help keep bettors engaged for longer in-shop and online. Simon Fraser – SIS’s Head of International Horse Racing took part in a panel session – “Horse Racing from Around the World” which included a discussion around the nuances of horse racing from around the globe and how to promote horse racing in new markets.